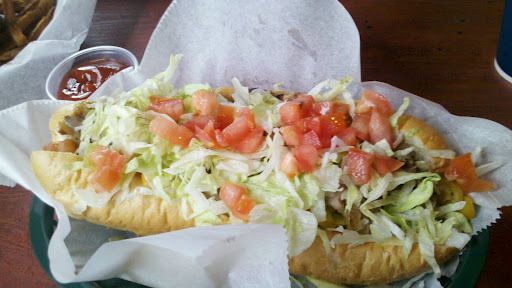 The Ultimate Yinzer is not just a Pittsburgh-born native with who goes dahntahn every once in a while, it’s also a steak hoagie at South Side Steaks on East Carson Street on the south side. I got my Ultimate Yinzer with all the veggies, but is available without the fixings for the more carnivorous type of eater. Not only did it fill me up, but I needed a fork to finish it off. The meat is cooked to order right in front of you, so there are no tricks, just some good food. The condiment bar also includes an array of peppers so you can turn your meal into something spicier, if you want. I’ve seen the popularity while walking by on a weekend night, but personally opted to go in the afternoon when it was a less crazy crowd.